There was another popular electronic album that came out in 1992-Future Sound of London's Accelerator. In 1992, both sounded different, futuristic, and dare i say the Factual's favorite buzzword? Innovative. Of course, now that we have broken electronic down into somewhere around three thousand different subsets, 14 year old albums wouldn't have that same level of impact when listened to today. After all, laptops, Pro Tools and the Apple recording studio subset have all advanced so far beyond '92 that the range of music are equal to the difference between a one string bass and a six string guitar, right? In the case of Accelerator, that couldn't be more true: while Future Sound still deserve a tip of the hat for basically existing, there's no reason beyond nostalgia to listen to their albums anymore. But you can't say the same for Richard James and his Selected works--you'd be a fool to even imply it. 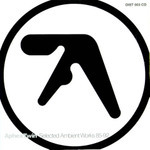 14 years later, Selected Ambient Works still sounds like something beyond the reach of human beings, it still sounds like music that operates on your ears--this isn't music that you throw on to relax to, or stay out late dancing too. Not to imply that you couldn't do those things, but the first time "Xtal" comes rushing through a pair of headphones (waves of gray sound, delayed than throbbing bass and finally, goofy overdubbed vocalizing) is also the last time that you'll attempt to turn this album into party music. Unlike every other piece of electronica at the time, and still head and shoulders above since, the Selected Works doesn't limit itself to the sound of the rave, the tracks for the club: it's an incredibly personal relationship it striving for. When you start recycling "We Are The Music Makers," you've reached the point it existed for: this is Richard James (under the Twin nom-de-plure) pulling off what he was shooting for when he made this stuff, music as language, language as challenge--getting distributed straight from his mind to yours. In some ways Selected Works has also become the album used as evidence for James' genius when he chooses to act the fool and release weird, unambitious albums of burps and whistles. Either way, this is one of the greatest pieces of music created in the last twenty years, and it stands head and shoulders above the rest of it's closest relatives.